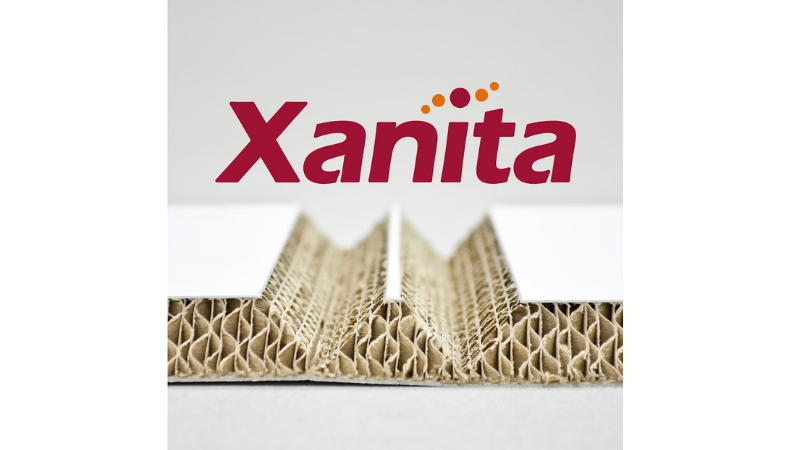 Xanita Board is a sustainable engineered fibre-board. Manufactured with the use of fibres recovered from recycled paper products such as cardboard boxes. Xanita Board is VOC free, 100% re-pulpable, 75% lighter than MDF and significantly stronger than visually similar honeycomb boards. The boards core is made from 100% post-consumer kraft and sugar cane waste and is fully re-cyclable and re-pulpable alongside with normal paper waste. It is designed to work with all well-known digital flatbed printers, hybrid printers and CNC cutters. The addition of the Xanita fibre boards range strengthens the position of Sentec International as a supplier of sustainable materials as an alternative for single-use plastic-based materials. Xanita fibre boards fulfils the growing demand for sustainable and robust rigid boards. A fast-growing segment in our industry. Besides the environmental aspects Xanita Board is a practical, durable and functional and stronger alternative for the traditional honeycomb boards and MDF. Xanita board strikes the perfect balance between premium quality and eco friendliness. The Xanita Training Academy- A free online training resource which provides the foundation of how to work with Xanita board. The CNC cut-file store- An e-commerce store with an extensive library of popular designs to help get printers up and running quickly and easily. Printers are also entitled to request a maximum of five free cut-files from the store once they have purchased a pallet of Xanita board or more. Xanita design support- For printers that do not have industrial or packaging design capabilities, Xanita provides comprehensive design assistance for a nominal fee. FESPA Global Print Expo 2019 is Europe’s largest speciality print exhibition for screen and digital wide format print, textile printing and signage solutions. Visit Sentec International at stand A11 in hall B6 at the Messe Munich between the 14-17 May 2019 and discover the available features. Please use promo code FESG902 to register for free.